Keenon Rush is a diamond in the rough. He hails from the city of Atlanta, a town known for trap music, strip clubs, and ad-libs, but puts out music more reminiscent to Outkast than the Migos. His music is very socially conscious, and his message is articulated through a highly-intelligent and vibrant delivery. He writes all of his own lyrics, makes his own beats, and mixes and masters his own vocals. Recently, Rush released an EP donning the clever title, “Citizen Keen.” It is a seven track tape, with zero features. Perhaps the best song on the release was, “PSA,” a song explicating Rush’s intelligence, and the idea of not being able to judge a book by it’s cover. “The Blocks” is a scathing criticism of institutional racism, employing a wordplay juxtaposing the blocks in a street sense, and the blocks that slaves were sold on 400 years before. Rush’s verses on this are really good, point blank. This was one of the better underground EPs I have heard this year, and if Keenon Rush isn’t on your radar already, he undoubtedly will be after you listen to his project. 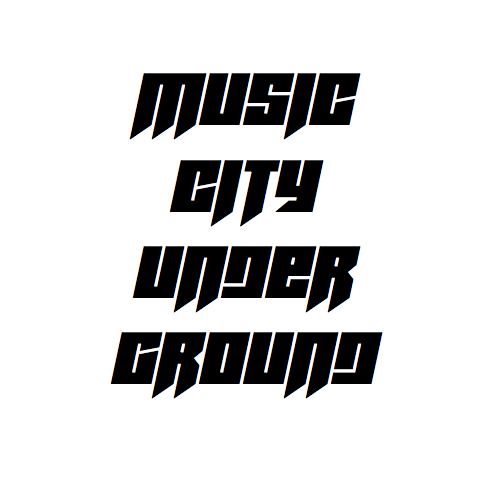 Music City Underground had the privilege of speaking with Keenon Rush. Music City Underground: What’s the relationship like between trap artists and more lyrical artists like yourself in the city of Atlanta? Keenon Rush: I think hip hop culture is competitive by nature so of course there are forms of healthy and unhealthy competition. From my experiences everyone is really just looking to make their claim as the new wave or next best things. For some, thats collaborating with other artist and creating this collective type vibe for other its more of a solo journey. Me particular, I rock with everybody I meet and I think my authenticity allows me to have real relationships what artists that may fall in both categories. Music City Underground: Where did you attend college? Music City Underground: Who are some of your major influences and who are some artists you would enjoy working with in the future? Keenon Rush: Off top my major influences are Andre 3k, Kendrick Lamar, and Gucci. They inspire me not only with their success in music but how they carry themselves and have transcend barriers in their career and personal lives. I plan to work with all three of them throughout my time on this earth. As far as currently, I’d like to work with Cousin Stizz, Tut, JID. Music City Underground: How do you see the climate for more substantive, less grimey music in the south? Keenon Rush: For me its all about authenticity and delivery. I could have the dopest message behind my music but my intentions won’t outweigh the content I put out. When I do shows I tell the crowd that I have something to say but I’m not gonna preach to you. So, for substantive artists to really thrive in this hip hop climate that have to be more creative with relaying their message to the audience because as morbid as it sounds, they don’t owe an artist their attention span just because what they rap about may have a positive influence on the culture. Music City Underground: What’s the future for Keenon Rush? Keenon Rush: Really, I just want to create more live experiences for the people who are rocking with my movement. Its the most genuine and intimate way to gain new listeners and that is the ultimate goal as I build my career. I’d like to do shows in Tennessee, NC and Florida and go international. Somebody book me for your show! !